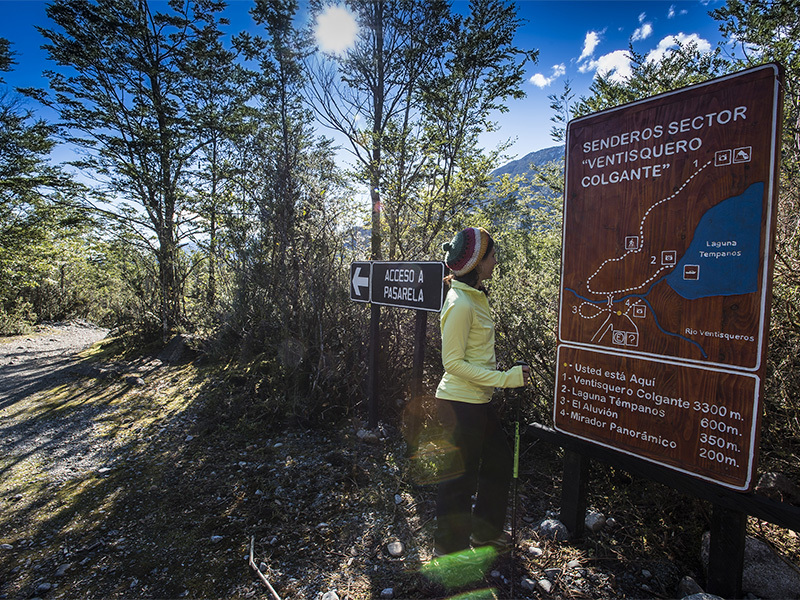 Situated between 44º22′ latitude south and 72º25′ latitude west, Queulat National Park is located in the Aysén region, with the Hanging Glacier (Ventisquero Colgante) only 15 minutes away from the jetty of Puyuhuapi Lodge & Spa (Muelle Austral). It`s highest summit is the Alto Nevado, a peak thats is 2,255 meters above sea level, from which the Hanging Glacier with its impressive cascade are born. 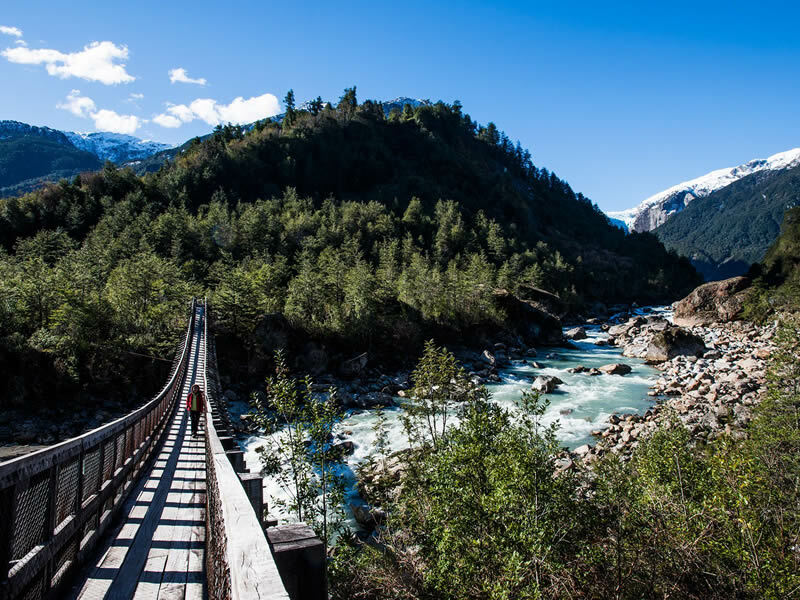 Within its area of more than 154 thousand hectares, it is possible to find an extraordinary environment of virgin forest, fjords, channels, glaciers, and ice fields. Its rocky hillsides, deep and steep valleys, and impressive snowcaps and snowdrifts show the remains of glaciations that took place thousands of years ago. The weather is damp, with abundant precipitation throughout the whole year, which reaches between 3,500mm and 4,000mm of water, and the various areas of the Park have an average annual temperature of between 4°C and 9°C. The flora and fauna of the woods are rich. In the woods’ evergreen vegetation you can find coigües, tepas, lumas, arrayanes, tineo, mañíos, canelo, ciruelillos, and a thicket with a huge variety of ferns, orchids, creepers, quila, chilcos (magallanic fuschia), and enormous nalcas. Numerous birds are found amongst the fauna, like the black woodpecker, the hummingbird, the ringdove, the great bustard, the hued-hued, the small parrot, the kingfisher, a variety of ducks, and the chucao. Pudúes, which are the smallest deer in the world, zorro culpeo (Andean fox), the puma, and the guiña (Andean mountain cat) also inhabit the area. 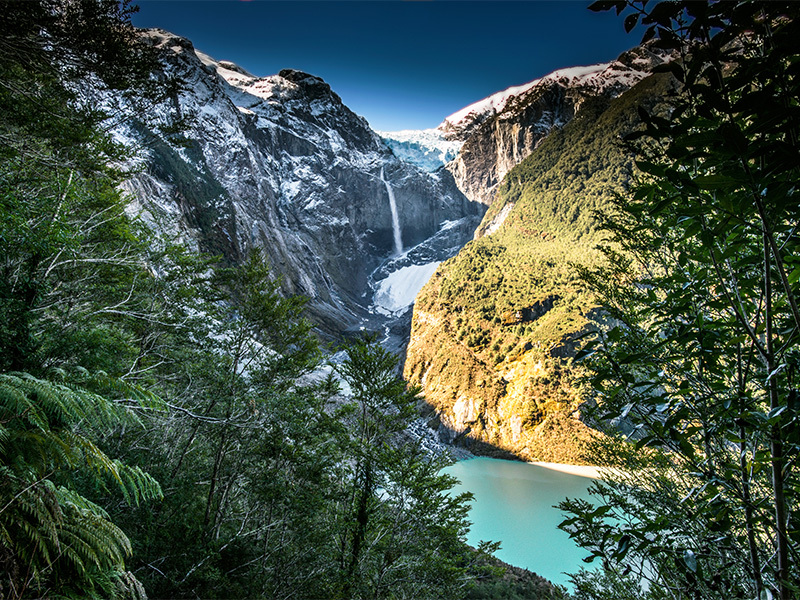 Also, in the waters of the Queulat Fjord and the Puyuhuapi Sound it is possible to spot chilean dolphins, seals and wide variety of seabirds, like herons and the beautiful black-necked swans, among others.